Actress Gal Gadot, the star of “Wonder Woman,” was one of millions of people to post tributes to Hawking after his death on Wednesday at age 76. 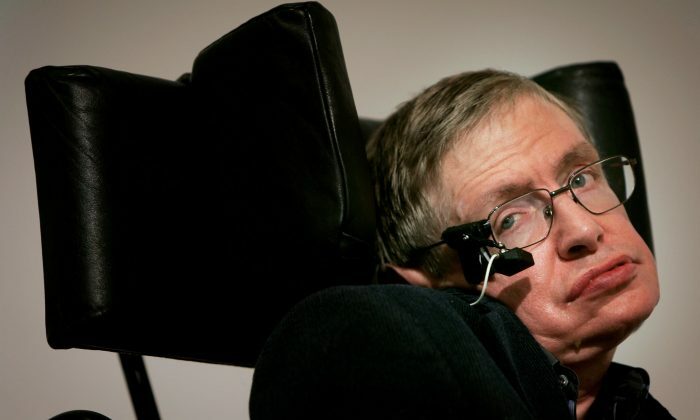 Hawking spent the majority of his life in a wheelchair after becoming afflicted with ALS at the age of 21. “I think you’re fantastic Gal but this tweet is very ableist. His physical constraints didn’t stop him from changing the world. People with disabilities don’t wish for death to be free of their challenges. We wish to be valued for what we CAN do, not pitied for we can’t,” wrote one Twitter user. “He will always be remembered for his brilliance and humor despite his physical condition. I must disagree however, with a mind like his, he had no physical constants. He took trips through space, time and dimensions that we could not even imagine. May he Rest In Peace,” wrote yet another. Hawking wrote in his memoir, published in 2013, that ALS was a great motivating factor in his life. Gadot was not the only person who was slammed for her tribute to Hawking. And cartoonist Mitchell Toy was criticized for a drawing he made in tribute to Hawking that showed the scientist standing apart from his wheelchair. Yet some defended Gadot’s post. “This world is way too politically correct! It’s a beautiful tweet, Gal. If we choose to argue about everything people say, no one will say anything at all for fear of exactly this,” posted one user. This world is way too politically correct! It's a beautiful tweet, Gal. If we choose to argue about everything people say, no one will say anything at all for fear of exactly this.